What role do we see ourselves playing in racial/economic justice work? What are the barriers we face and how can we support each other to step into further action? Through dialogue, education, and action planning, we’ll begin to explore the answers. Register online by clicking the button below each monthly session listed above. Contact us with questions or to suggest a topic or speaker. 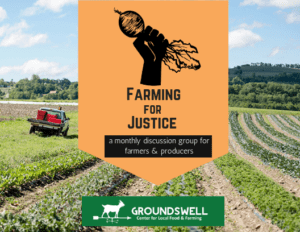 Labor in the food system: barriers to small-farm profit making and farmworker rights. Speakers from the Tompkins County Immigrant Rights Coalition. The Farm Bill & You: Speakers from NSAC and the Food Bank of the Southern Tier. Read more here.